Safe in Rafe’s arms at last, Miranda thinks the worst of the danger is past. She is dead wrong. The Castillo prima is murdered, and the clan is trapped by a hex. No one can leave New Mexico — or even send out a distress call. 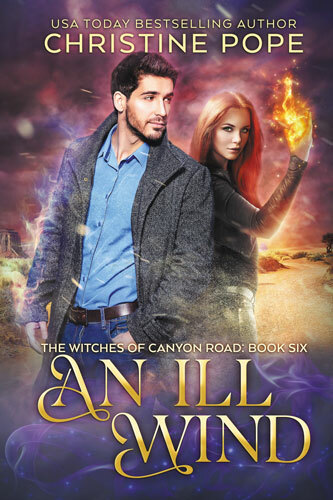 Worse, Simon’s evil magic sends dark spells against the clan, targeting the vulnerable new prima herself. 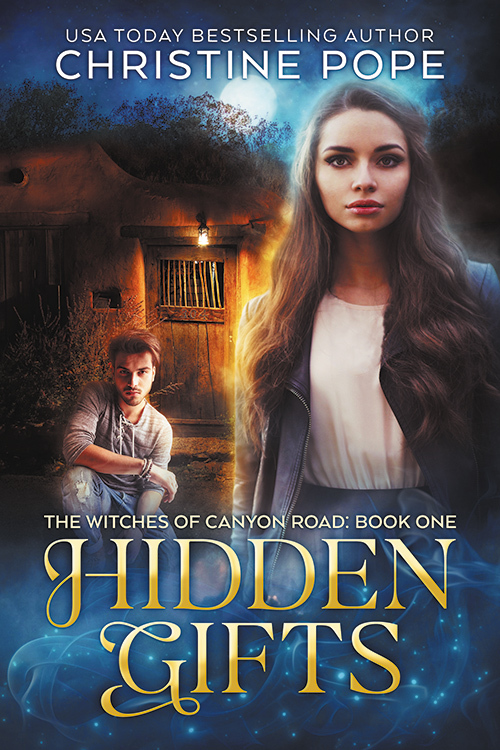 Desperate to keep anyone else from being hurt, Miranda has no other choice. 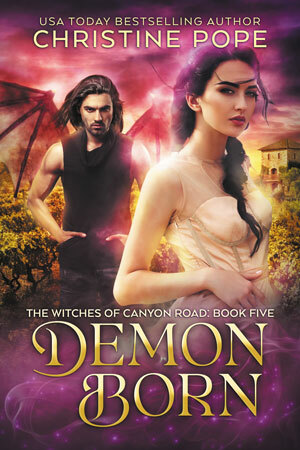 She surrenders to Simon — only to discover his grand plan extends far beyond possessing her body. 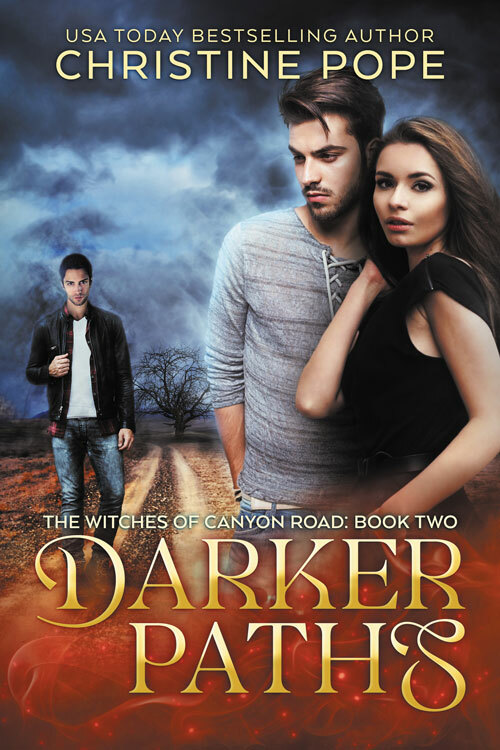 He covets her powers to summon the darkest demon of them all. 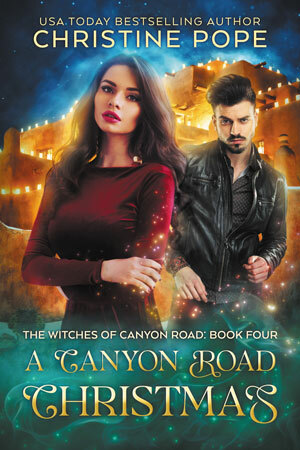 As Rafe works feverishly to track Miranda’s location, protect the clan, and find a loophole in Simon’s entrapment spell, Miranda realizes there is only one way to defeat Simon once and for all. Take on more power than she’s ever handled before. Make a deal with the lord of all demons. And risk everything to fulfill a destiny set in motion long before Rafe was a glimmer in her heart. 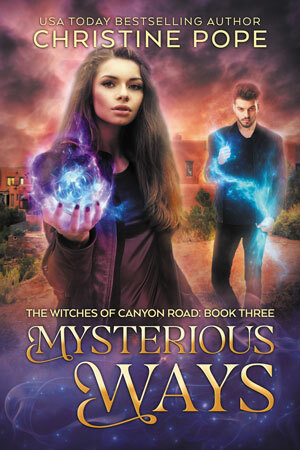 Mysterious Ways is the third novel in the Witches of Canyon Road series, a spin-off from Christine Pope’s bestselling Witches of Cleopatra Hill books.